When the canopy of their F-15 (Falcon) fighter plane detached at 30,000 feet during a training flight, the crew of the plane decided not to eject, but decided to make an emergency landing and save the plane, which they did. The plane landed in the Nevatim Base in the Negev. The flight left the Tel Nof base on Wednesday night for what was supposed to have been a regular training flight. After the canopy detached, for reasons that are reported still unknown, the pilots were exposed to the freezing conditions and reportedly, deafening noise. They used all their training to remain calm as they contacted the control tower at Nevatim. In a matter of moments, the base prepared for an emergency landing. The temperature outside was approximately 45 degrees Celsius below zero (-49 degrees Fahrenheit). At the height of 30,000 feet, the airmen only had enough oxygen to breathe because of their masks. Air force officials are quoted explaining that if they would have ejected, the move would have been justified, but in this case, they realized they could land the plane without placing themselves in life-threatening danger. IAF Commander Maor-General Amikam Norkin ordered to stop all training flights for the F-15 fleet pending the outcome of an investigation into the incident. Bli Ayin Hara. Amazing how they calmed down, focused and landed. Are you kidding? The IAF? Supposedly the finest air force in the world? Somebody had better do some quality control fast on this. Now that tank warfare is obsolete, it’s only the reputation of the IAF that’s protecting Israel. False! Israel is protected by Hashem and Hashem alone. If Hashem doesn’t protect Israel, the IAF is worthless. 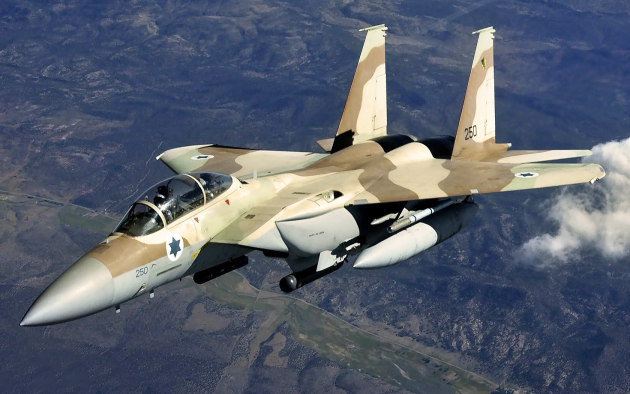 If Hashem is protecting Israel, Israel will be protected without the IAF.